Spend. Snap. Review. Report. Free up your staff to get back to what’s important. Captures all types of expenses including cash, card and invoice. Big picture through to granular detail, all in one place. Fraedom’s Optical Character Recognition (OCR) technology reads receipts, which eliminates the need to keep paper receipts. This allows your staff to constantly keep up to date with their expenses and improves reporting and compliance. Our IOS and Android apps put complete control of expenses at your fingertips. Staff and managers can capture, manage, submit and approve expenses on the go. Fraedom works seamlessly with all major Finance, ERP, HR and payroll tools. Integrate with systems like SAP, Oracle, JDE, Dynamics, Technology One, Sage, Xero, Elite 3E and many more. 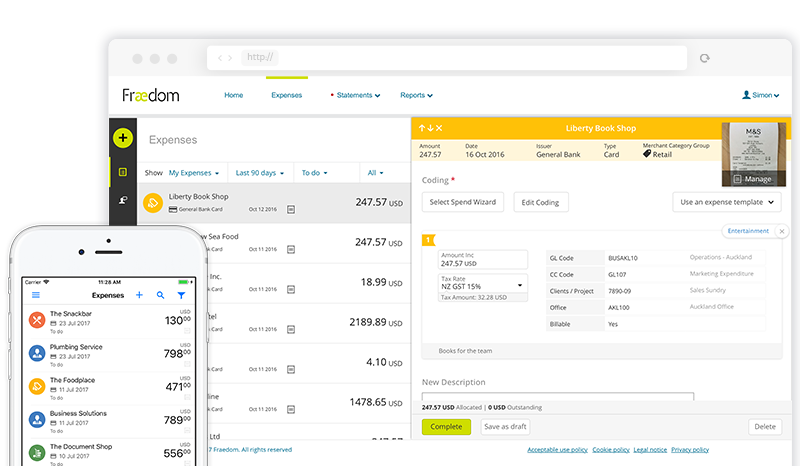 Our card integration captures data from any bank, issuer or source, allowing you full visibility and control of all transactions in one place. 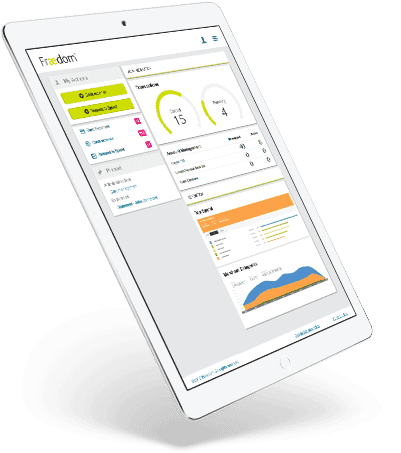 Fraedom’s full set of reporting tools gives clear, insightful reporting from transaction line detail all the way to the ‘big picture’ organisational overview. Our technology is certified to globally recognised security standards. It operates in 21 different languages, giving you peace of mind, wherever you are.